Wang, Z., Pascual-Anaya, J., Zadissa, A., Li, W., Niimura, Y., Huang, Z., Irie, N. (2013). 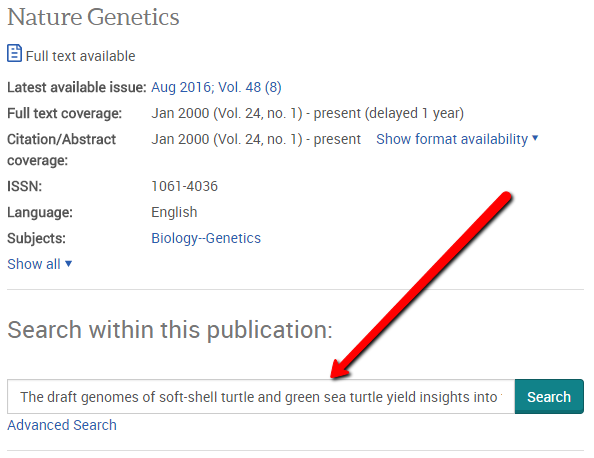 The draft genomes of soft-shell turtle and green sea turtle yield insights into the development and evolution of the turtle-specific body plan. Nature Genetics, 45(6), 701-706. 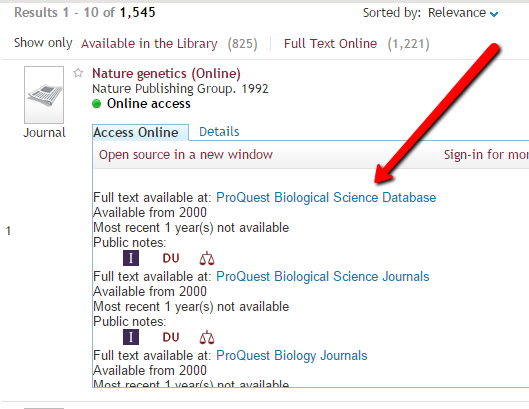 You can either search for the article title directly in the Compass Search on the library homepage (easiest), or find the article by going through the journal online. Note: If the journal you are looking for is not in the results, we don't have a subscription to it (or there is some kind of typo, double check your spelling). In this case, you would want to submit an Interlibrary Loan (ILL) request for the article. If you are off-campus when you click on the link to go into the database, you will be asked to log-in before you are taken to the page with the details about the journal. 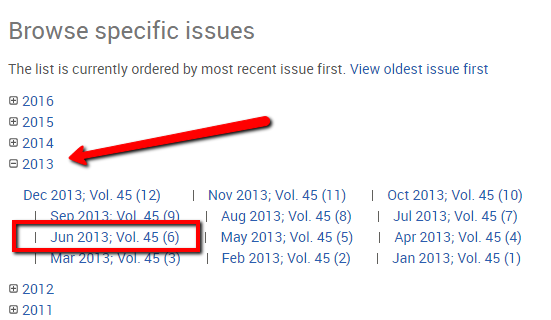 If you have any trouble locating an article by citation, you can always Ask Us for assistance.